One of the outstanding editors with whom I have the pleasure of working is Brooke Bell. 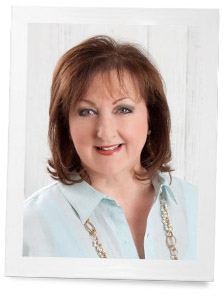 She is the editor of Taste of the South magazine (and special collector’s issues like Southern Casseroles). She brings to our readers a new look at wonderful Southern classics. I love great Southern food, and when I see the offerings in Taste, I am ready to get in my kitchen and start cooking. I asked her to guest blog today. You will love her enthusiasm for all things Southern. We Southerners might not be able to claim casseroles as our own since cooks around the world have been making some form of them for centuries, but we sure do own the hospitality of casseroles. If a friend or loved one has a bad day, you can bet we’ll be at their doorstep in no time, casserole in hand. We keep them in the freezer at the ready for new neighbors, parents bringing newborns home from the hospital, friends who’ve just experienced a loss, and loved ones going through a tough time. That’s just what we do in the South. It’s ingrained in our being. If there was a crash-course on how to be Southern, “The Art of Casserole Delivering” would be first on the syllabus. We take care of our people with comforting casseroles. And what would a covered-dish supper or family reunion be without several tables of ooey, gooey casseroles? They show up, in some form or another, at every social gathering or holiday. Could you seriously imagine Thanksgiving without a casserole? From sweet potato to green bean, Thanksgiving is all about casseroles. If your standby casserole recipes aren’t scrawled on a notecard in your mother’s handwriting, they likely came from a spiral-bound church or Junior League cookbook. The ingredients might change a little here and there, but you can bet any casserole worth its weight in Ritz crackers includes chopped or pulled chicken, something creamy like a can of condensed soup or sour cream, a vegetable for some added color, lots of cheese, and layer of buttery crackers on top. 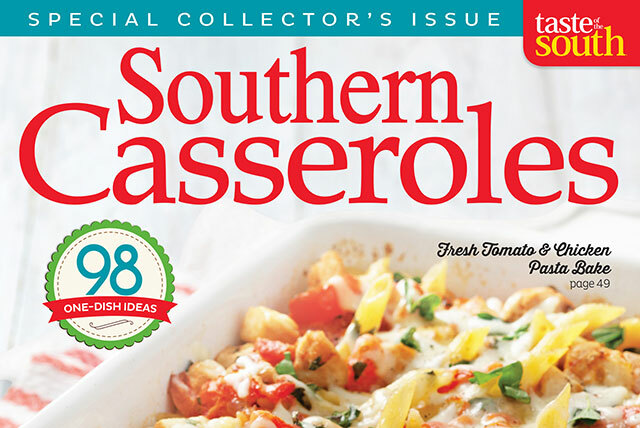 This special collection of Southern Casseroles from Taste of the South features the classics we’ve been eating for years like Poppy Seed Chicken Casserole, Baked Spaghetti, and Cheesy Chicken and Broccoli Casserole, plus soon-to-be new favorites. For this issue, we took iconic Southern dishes like country captain, chicken and dumplings, shrimp and grits, gumbo, and the Kentucky hot brown and made them into casseroles. These playful recipes deliver all of the traditional flavors you expect from these dishes in your favorite 13×9-inch pan. As you cook your way through this issue and share these recipes with your friends and family, remember casseroles are the ultimate form of comfort food. Their warm creaminess, layers of cheese, and crunchy toppings are like a warm blanket to soothe you when you need it most. Tell us: What’s your favorite type of casserole? Well, I am a “meat and potatoes” person. My sister can’t believe that I have lived this long without vegetables! I’m very picky. I don’t recall that my mother ever made a casserole, or that we had them at church suppers or gatherings. I guess the closest was sweet potatoes with marshmallows on top which my grandmother and great aunts made. My mothers sister liked eas and plain cooking and I think that she first came up with the green bean casserole in the ’60s. She never did more than put salt and pepper in her cooking. At church suppers, etc., we usually just had regular food. However, in the ’70s someone made Chuck A Luck. That was one dish I would eat. No vegetables! I recently got the recipe from an old hometown friend, and my daughter loves it. Now she makes it too. Chuck A Luck has ground meat, diced onions, diced green pepper, cream of mushroom soup, cream of celery soup, . It can have biscuits or bread crumbs and cheeseon top. My mother did make a dish on Wednesdays, that she called Meat Pie. Ground meat, onions, a little flour to thicken, salt and pepper. Put in a Pyrex bowl, topped with biscuits and baked. I did a variation put added canned tomatoes or tomato sauce, a diced clove of garlic, maybe a bit of wine, and put salt and pepper on top of the biscuits. I guess casseroles came to our town about the time of tv dinners and Jello fruit salads. We never had things like salads with lettuce either. Our salads were a peach or pear half on a lettuce leaf with a dollop of mayonnaise and a cherry on top. And my grandmother’s Ambrosia. Since I lost most of my vision, I don’t cook much anymore. I leave that to my daughter. But I am very inspired by Christine Ha. Love any squash casserole, that would be my favorite….next is corn casserole…love them both !! My mother was known to make a casserole or two or five. I still make them around holidays. Year before last, we attended a family funeral in a small town in Mississippi followed by a hearty meal in the Fellowship Hall. The good Methodist ladies had laid out every casserole ever invented along with a great big ham and every Southern dessert ever invented, proving to me that art of the casserole is alive and well. Patti and I were backyard friends, and my mom and her mom, Bernice, were lifelong friends, too. Bernice was one of the loveliest, friendliest women I have known in my sixty-four years, and I still dream of her chicken tetrazzini casserole. And my Mom’s tuna casserole. I love just about anything that starts with one or more cans of cream of something soup and/or sour cream. It is almost as revered as our cast iron skillets. I have been a loyal subscriber to Southern Lady for quite sometime now, the Taste of the South special edition looked so good, I stopped reading the blog long enough to order it! 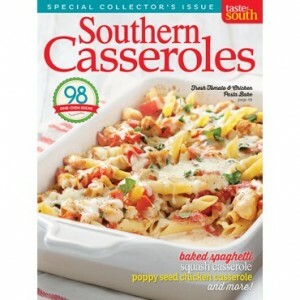 Traditionally I pick up Taste of the South at the grocery store, but I don’t feel like waiting for it to hit the stands! Thank you for consistently publishing such high quality work. Who doesn’t love a good casserole, from family reunions to church gatherings, they have been the mainstay to feed a number of people at a very small cost. My favorite is the chicken, broccoli, cheese from Bisquik. Poppyseed chicken is the best! to this day the only two kinds of casserole I can successfully make is “green bean” and “chicken” – but my husband loves them so that counts for something! My first casserole was the green bean with friend onion rings on top….I thought that was the greatest thing in the world. You really make us celebrate home cooking in such a wonderful way. Thank you for editing such wonderful magazines.